How can muscle cramps be managed? HOW DO I DEAL WITH MUSCLE CRAMPS? A cramp can be painful and can almost make it impossible to use the muscle that is being affected. Muscle cramps can usually subside by themselves and are rarely serious. The cause of muscle cramps are not always known and certain theories remain unreliable due to personal accounts rather than medical evidence. Muscle cramps can happen in any of the muscles of the body, but typically occur in the calf, quadriceps, hamstrings and arches of the foot. Many of the prevention mechanisms that are frequently suggested have not been medically proven. We have listed below some treatments that have more widespread evidence. Don't let muscle cramps stop you from doing the activities you love. Try some of the suggestions above and give it some time for it to work. If your symptoms persist, you may have a specific orthopedic condition that may need to be addressed. We offer a Free Screen for our local population. 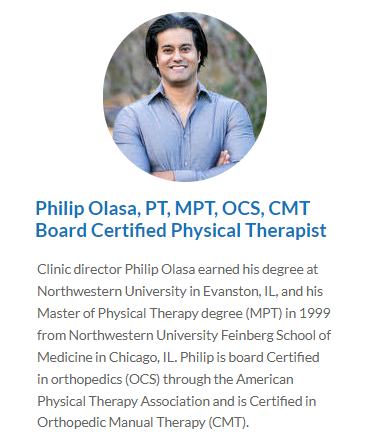 This process includes a brief examination performed by one of our licensed orthopedic physical therapists during which time we will take your history and test your strength, range of motion, and flexibility. 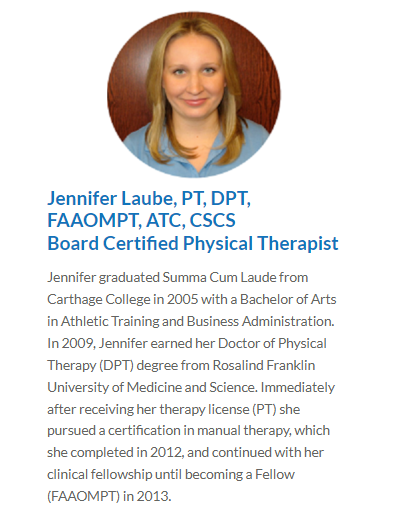 If problems are detected that could benefit from physical therapy, we will advise you on your options. If there are lifestyle or exercise changes you can make on your own to improve your functionality, we will discuss and advise you on them with you. 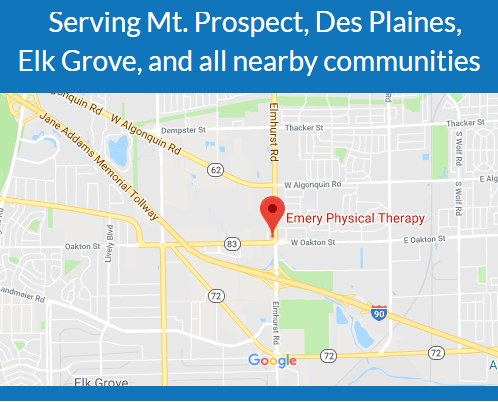 Give Emery Physical Therapy a call today at 847-786-2014.